Brussels-based data specialist Collibra – a spin-off of VUB, one of Flanders’ 5 universities – has received USD 100 million from CapitalG, the investment arm of Google’s parent company Alphabet. This makes the start-up worth more than USD 1 billion and the first-ever ‘unicorn’ in Belgium. Collibra started in 2008 as a spin-off from VUB, one of Flanders’ universities. The start-up offers companies a software platform where they can efficiently manage their data. What’s more, Collibra enables better data quality control and correct data processing, a great asset for companies looking to comply with strict legislation such as GDPR. Since then, Collibra has raised USD 233 million, receiving money from such companies as Iconiq Capital, the fund that manages the private capital of Facebook CEO Mark Zuckerberg. Collibra joins a very select club of European companies. According to Dealroom, Europe only counts about thirty 'unicorns' – private high-growth companies, usually in tech, worth more than USD 1 billion following successive capital rounds. Until recently, before they were listed, this list included Dutch fintech company Adyen and Swedish music streaming service Spotify. 34-year-old CEO Felix Van de Maele, a Flanders native, looks ahead with steady ambition. “I'm thinking about how I can bring the company to a valuation of USD 3 to USD 5 billion,” he says. He is aiming for an annual turnover of USD 100 million this year. The company currently employs 450 people in several locations in Europe and New York, but Van de Maele hopes to grow his company to 650 employees by the end of this year. 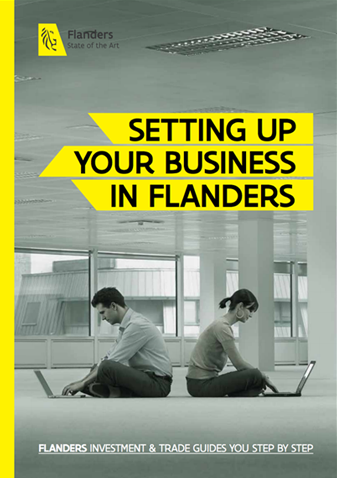 Find out more about Flanders’ digital society ecosystem.